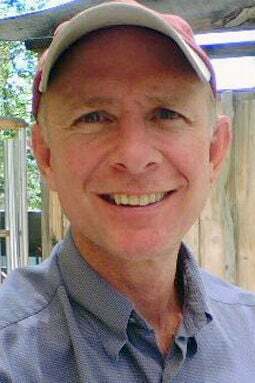 Jay Thomas Connerley of Taos, New Mexico, died on March 15, 2019, at the age of 63 after a hard-fought battle with cancer. He felt blessed to have had a long career he loved. He started working with the Fremont Department of Utilities but quickly decided to travel the world. He left Fremont on his bicycle and traveled across Canada and down the East coast of the U.S. on his bike. He worked on ski patrol in Colorado, led bicycle tours in Vermont, and was a whitewater raft guide in multiple locations. He started and operated a river rafting company in Costa Rica. He worked as a River Ranger with the U.S. Park Service and the Bureau of Land Management. Jay was the son of Melvin H. and Bette M. Connerley of Fremont. He graduated from Bergan High School, class of 1973. He is survived by his devoted wife, Mary Gugino, of Taos, New Mexico; his sister, Debra Kraemer (Robert), of Tampa, Florida; his stepson, Paul (Julie); and his grandchildren, Gabriella, Sophia, Ava, and Jack Gugino of Cincinnati, Ohio. He will also be missed by his many great friends and his extended family of Connerley and Hildreth cousins. A celebration of life will be held in Fremont on April 12 at Woodcliff Lakes Restaurant at 5:30 p.m. Anyone interested in attending, please RSVP to his wife, Mary, at 575-770-1850, by April 4.